ONE Styling has a wide variety of professional hair styling tools, including hair dryers and flat irons. I received the Epic Pro Blow Dryer, Crush 1" Flat Iron and Crush Mini Flat Iron for review. 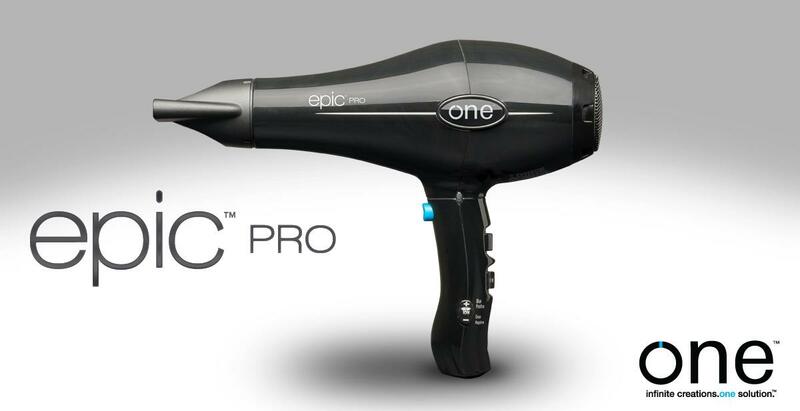 The Epic Pro Blow Dryer is one of the most powerful hair dryers available. It is ideal for every day use and is ergonomically designed for optimum balance and comfort. This hair dryer features the Ionic Intel system, which generates positive or negative ionic output suitable for multiple uses. It is lightweight and had variable speeds and temperatures to choose from. It also offers a "Cool Shot" button for style setting. I can not say enough great things about this hair dryer! I have always used cheap hair dryers that typically last less than a year. The first time I used the Epic Pro Blow Dryer, I was amazed. My hair looked a lot like it does when my hair stylist does my hair! Just by using this blow dryer, with no added products or tools, my hair had a great deal more volume and shine than with my old dryer. I have used this blow dryer every day, and it has cut my styling time in half. I love, love, love it! This blow dryer is perfect for any salon professional, or any person who wants salon quality hair at home. I for one will never purchase a cheap hair dryer again. The Epic brand has won me over completely, and I do not see myself ever choosing another brand of hair dryer to use ever again. Yes, I am truly THAT impressed! The next products that I reviewed are the Crush 1" Flat Iron and the Crush Mini Flat Iron, both in the color "pucker". The Crush series of flat irons come in three cool colors that add a little oomph to your morning routine. These flat irons have a wide range of temperatures, which is ideal for all hair textures. The tourmaline technology provides maximum negative ionic output to lock in moisture and eliminate static and frizz. The floating beveled plates allow for optimum styling control. and the gentle infrared heat safely penetrates the hair follicle to minimize heat damage. 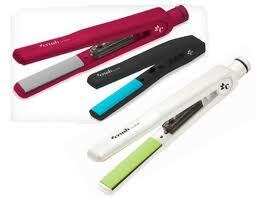 I am also completely smitten with both of the Crush Flat Iron's that I received! I love the 1" flat iron for the back and sides of my hair, and the mini flat iron on my bangs, which I am currently trying to grow out. Sometimes my bangs, which are at an awkward, in-between stage, do not do what I want them to do. I try to flatten, they flip out, or vice versa! The mini flat iron is the perfect size to control my unruly bangs. Both of these flat irons are perfect for everyday use. I use them daily and have noticed a lot less damage to my hair compared to previous flat irons I have used. As I mentioned, I have used all three of these products on a daily basis, and I couldn't be more pleased with the outcome. My hair has never looked healthier! I receive compliments daily on my hair, which is not the norm for me as I am not a professional by any stretch of the word. I would highly recommend all three of these products without any hesitation. All of the products available at ONE styling are made for styling professionals, but can be used by every day consumers as well. The products at ONE can be a little more expensive than the ones you might find at your local drug store, but the difference in the condition and appearance of your hair while using these products completely makes up for the price difference in my opinion. Not to mention, these products are extremely well made and I feel sure that they will stand the test of time, and then some. Check out ONE Styling to see all of the products that they have available, and find the product that is perfect for you. If you are anything like me, you will never use a cheap styling tool again! Maybe I'm superficial, but I LOVE the colors of those flat irons! I would buy it just because it's not hot pink like all the others. Those flat irons are great - we use ours daily. Those flat irons are very cute. I love the colors! I have a bright red flat iron that is close to being on its last legs. It is years and years old, and I think when I need an upgrade, I just found the one I'm going to have to go with. Thanks for the heads up on these products!